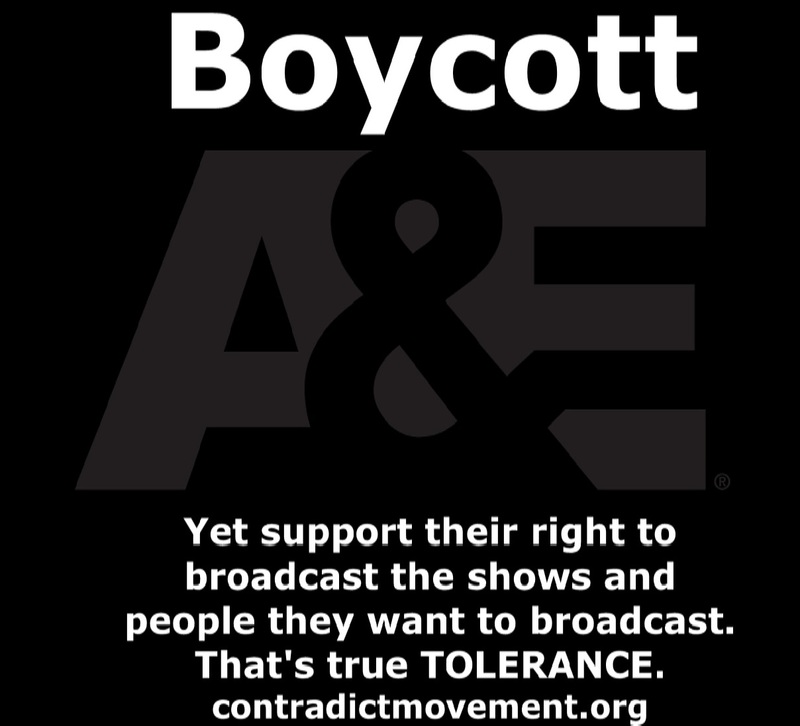 Boycott and Support A&E! How do I do that? Most of the pages I follow are chiming in on Phil Robertson’s comments in his recent GQ interview and A&E’s response by banning him from the show. What I see being said from the Christian side is that A&E is somehow denying Phil his rights to free speech. I don’t see that as the case whatsoever. I think we need to respect A&E’s rights to pull Phil, or the entire show for that matter, if what Phil says off the show goes against the image, message, and beliefs that they hold and want to espouse. That’s their freedom as a station, right? If I owned a station and one of the stars of my show said that Jesus had a homosexual relationship with John, also known in Scripture as the disciple that Jesus loved, I might count the cost of any money I could gain from that star and his fan base and pull his show, or write him out of the show. Wouldn’t that be my right, my freedom as an American citizen, broadcasting in the land of the free and the home of the brave??? Right now it is my right to boycott A&E and to voice my belief that the Bible condemns homosexuality – and condemns all sinners, which we all are. So essentially, the Bible throws everyone under the bus and says that we all deserve hell. I know that’s not a much loved concept, but if you have true tolerance, you have to respect my right to speak my belief that I hold to be true. I should also respect your right to not pay me and use me to represent your company if that goes against your belief or brand. Continue to speak to any magazine that will publish your beliefs… and don’t apologize for calling something sinful if the Bible calls it sinful. Apologize if the Holy Spirit convicts you of not winsomely telling the truth. We are commanded to speak the truth in love, so if your conscience is guilted about breaking that command, then apologize for that… but ONLY apologize for that. Buy the current GQ issue and support them for publishing Phil’s words and not censoring them and you’ll show the media that there is a market for your beliefs to be expressed in Hollywood. Buy the current issue of GQ! Boycott A&E! Yet respect A&E’s rights. That’s true TOLERANCE! Oh, and buy a Contradict sticker. Or, buy a pack of 50 Contradict tracts and you’ll get a free sticker with them. Go to www.contradictmovement.org to learn more. Previous Post Oprah Winfrey says that my grandparents need to die!